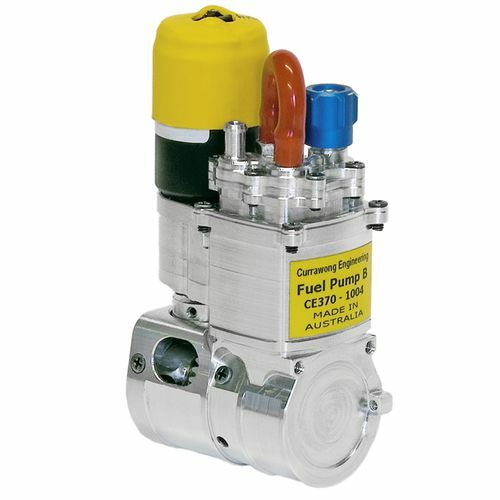 Currawong manufactures lightweight, low-power, high-pressure fuel pumps specifically for use in the UAV industry. These high reliability fuel pumps significantly reduce fuel delivery problems typically associated with UAV engines. Currawong’s pumps are designed specifically to address issues which will be familiar to many airframe system integrators, such as SWaP, reliability and recovery from fuel pickup issues. With outstanding self priming performance and the ability to run on air continuously, Currawong pumps allow an engine to recover gracefully from pickup loss or injection of air into the fuel supply lines. Watch the video below to see the superior performance of Currawong’s fuel pumps when the fuel line is removed.